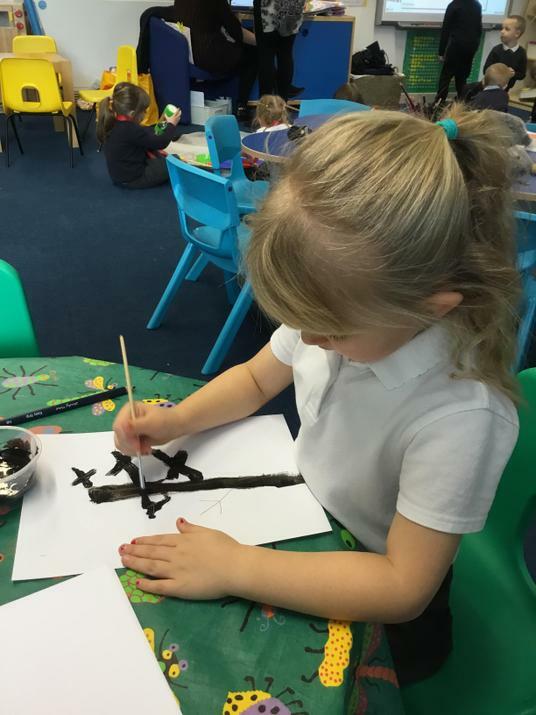 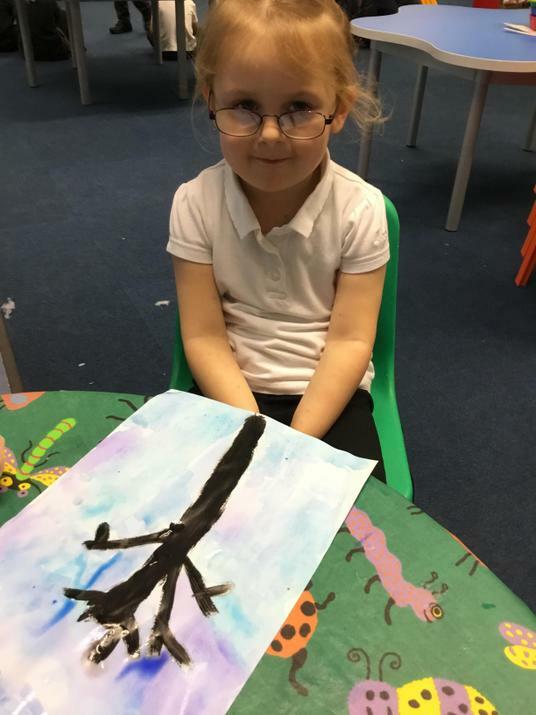 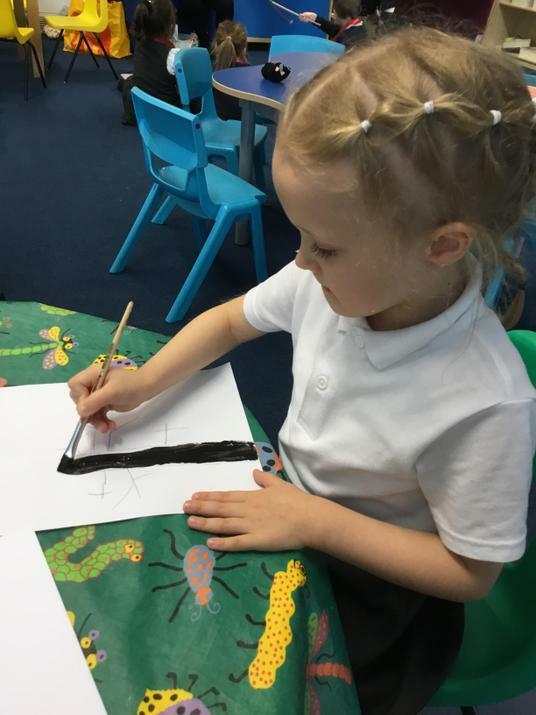 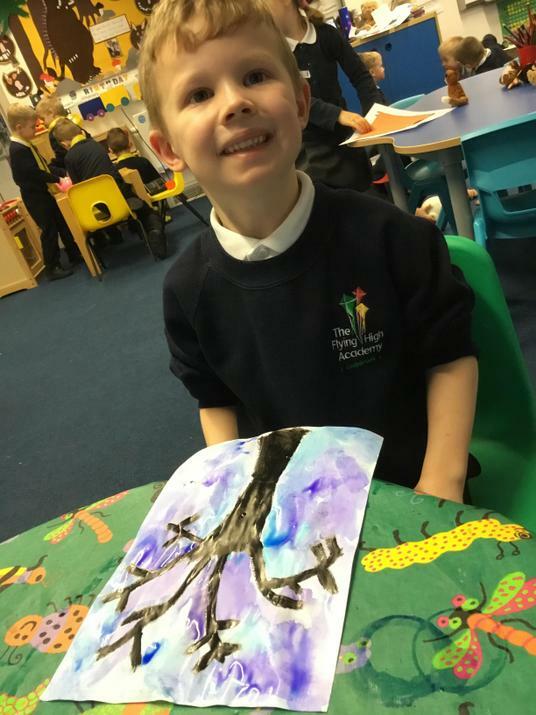 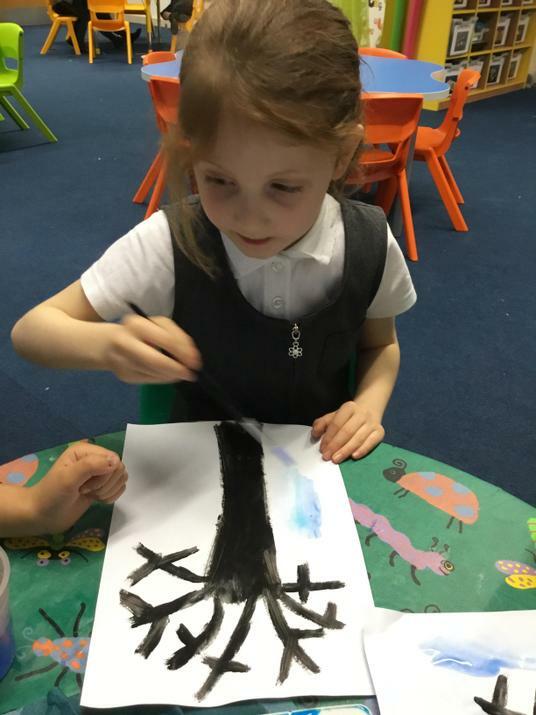 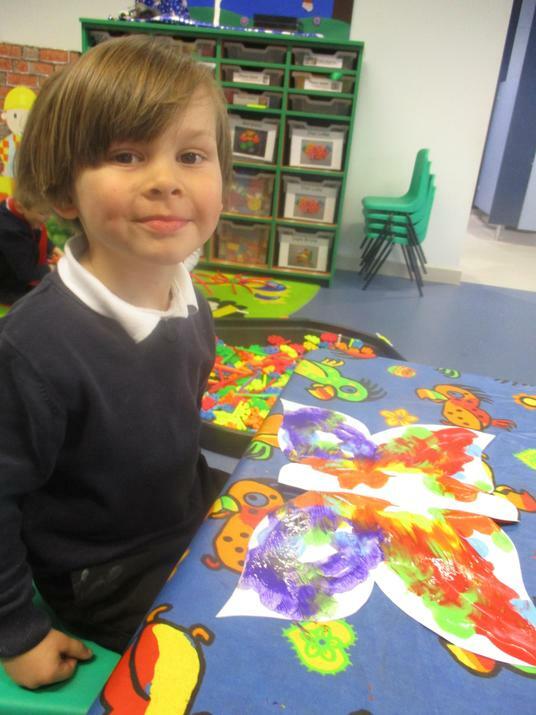 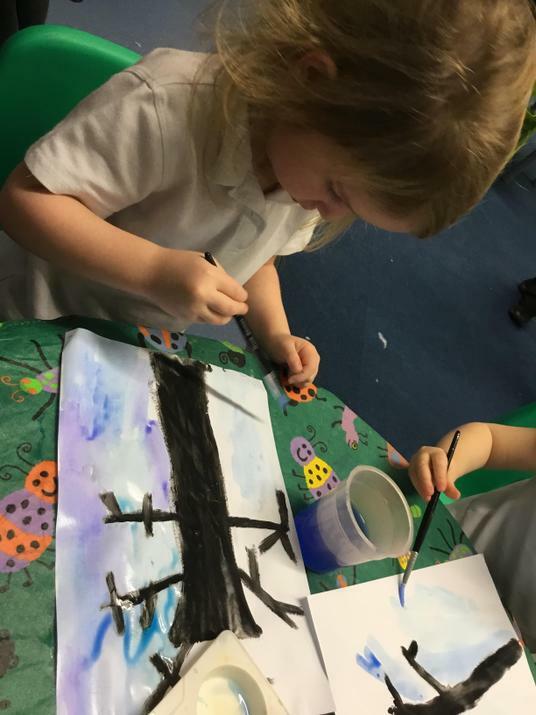 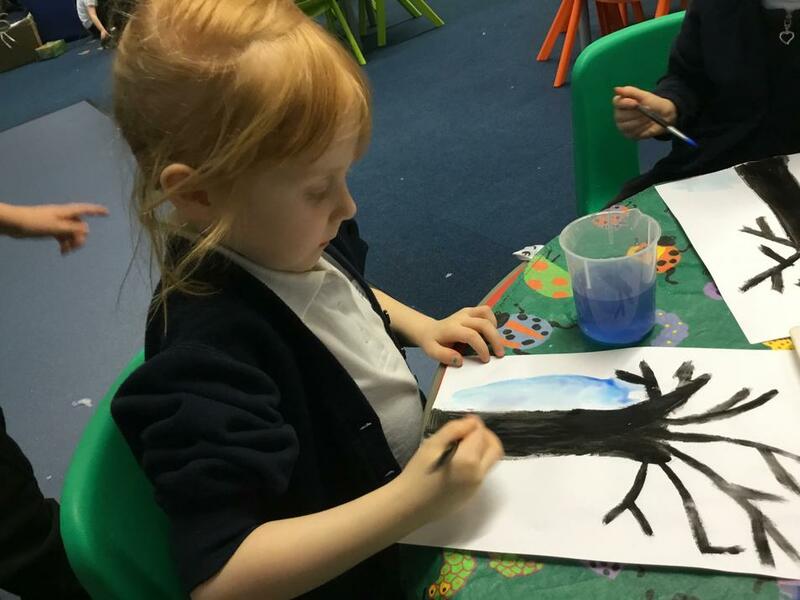 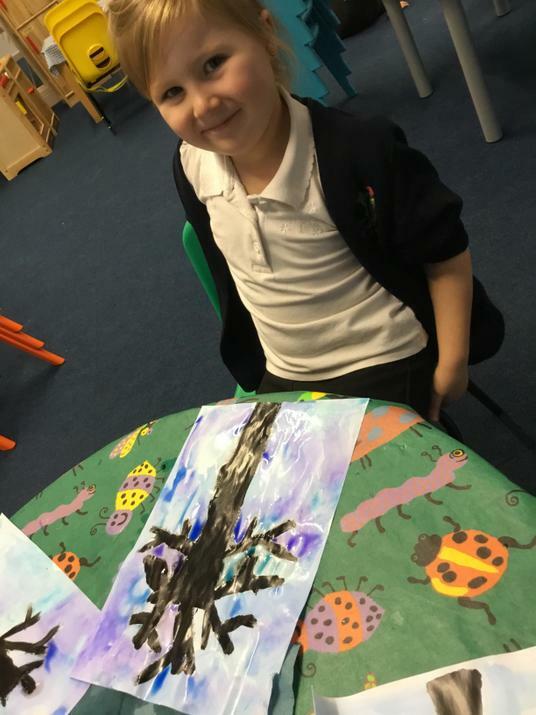 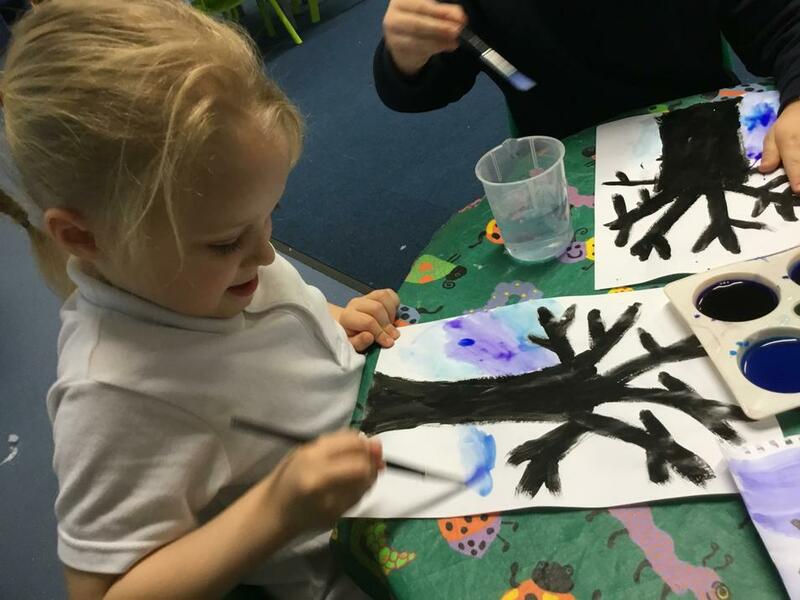 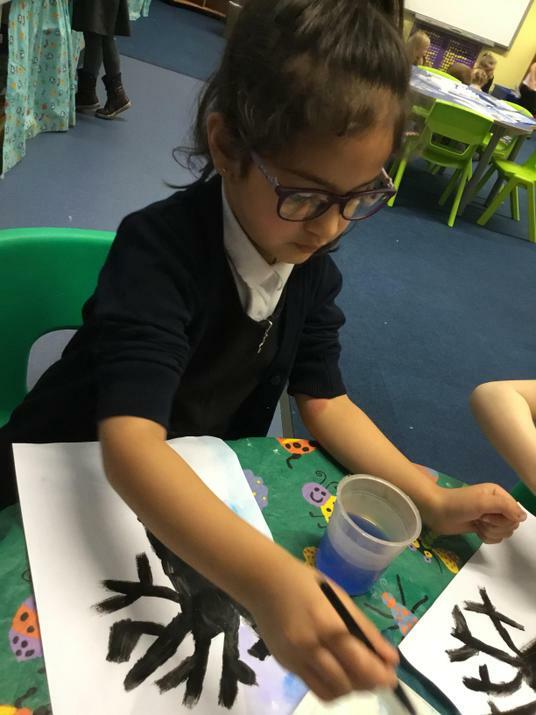 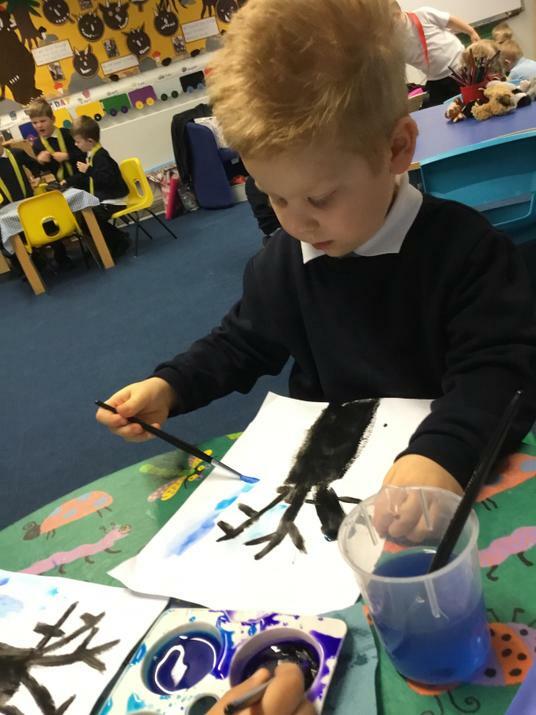 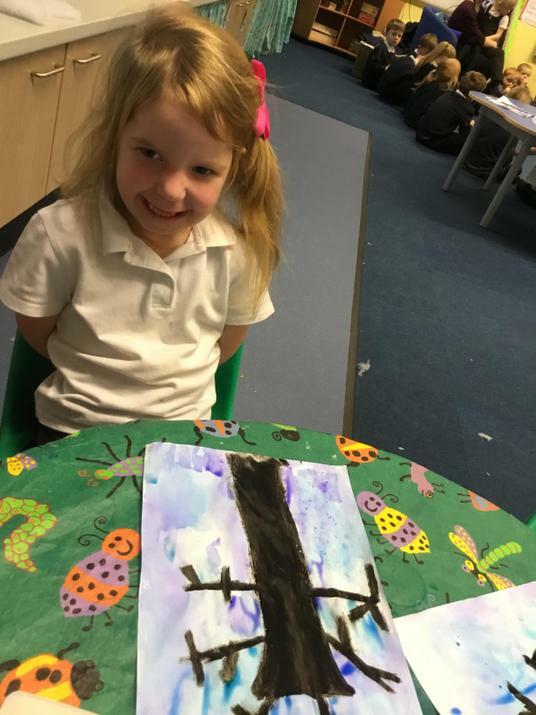 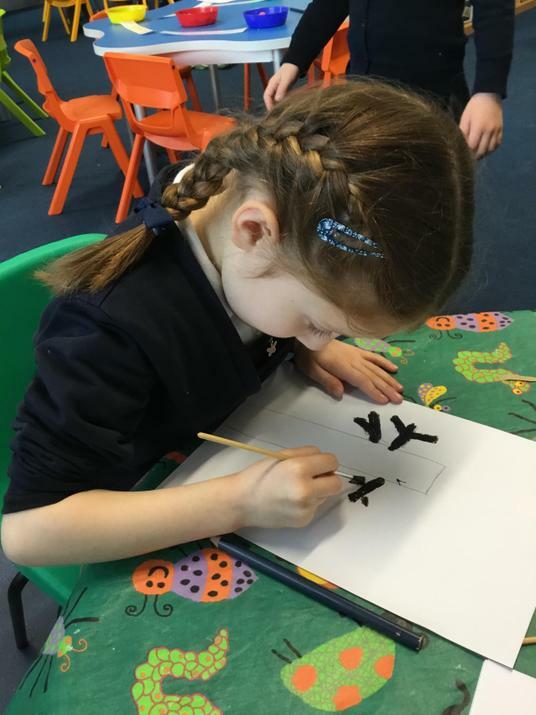 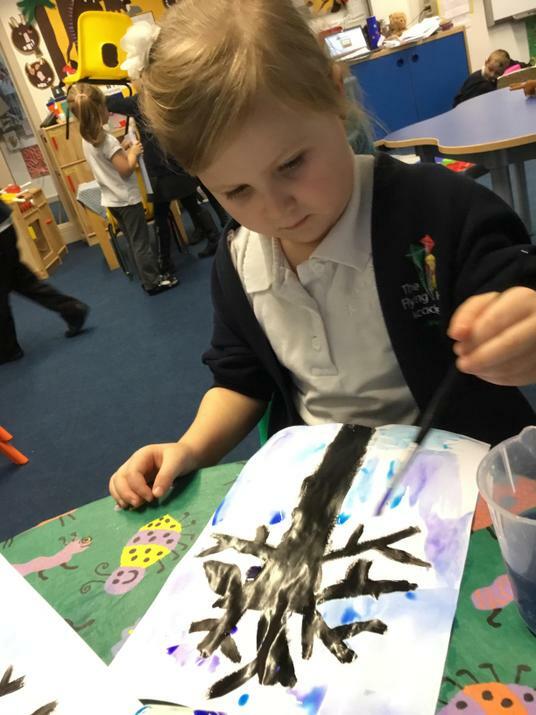 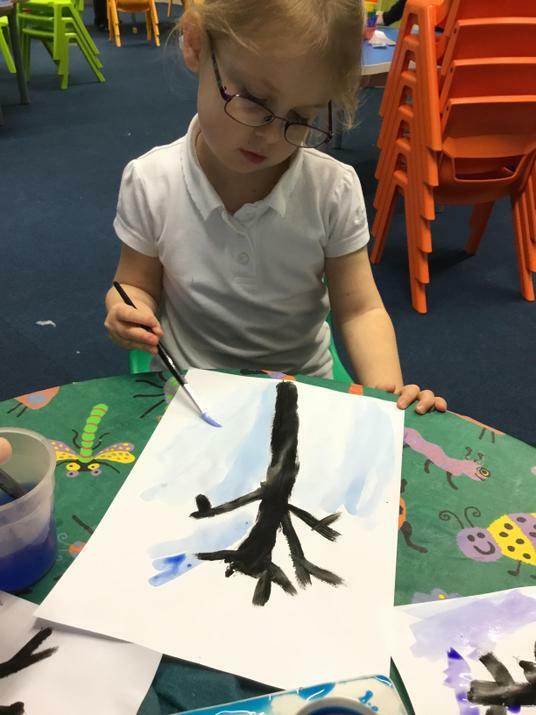 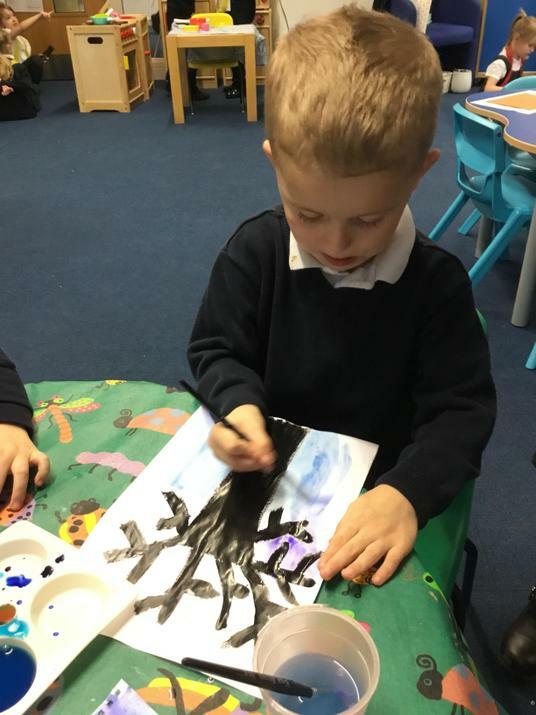 We have been creating beautiful winter watercolour paintings. 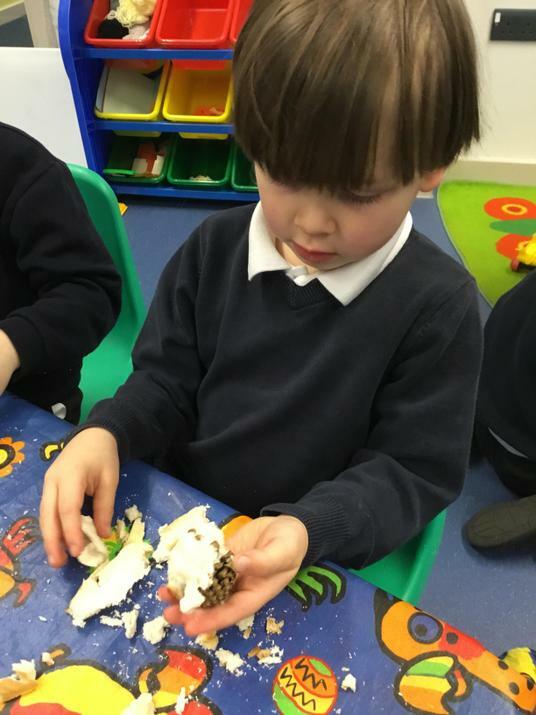 Poor Percy the Park Keeper. 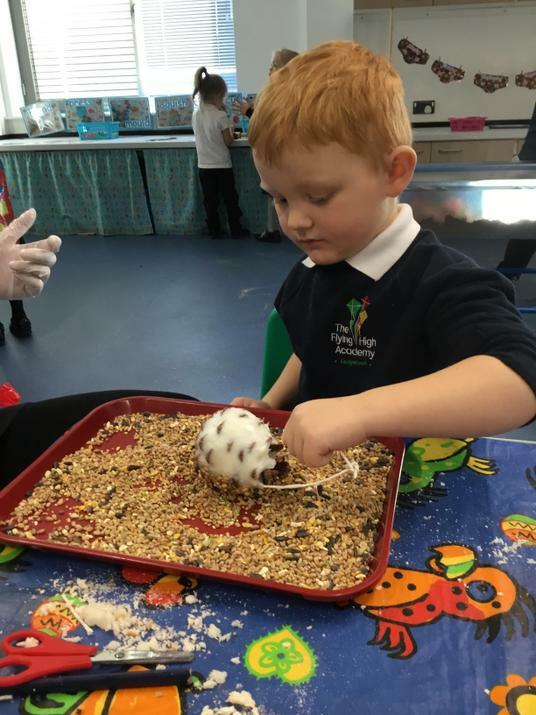 It was a snowy night and lots of his friends came into his hut to get away from the cold outside. 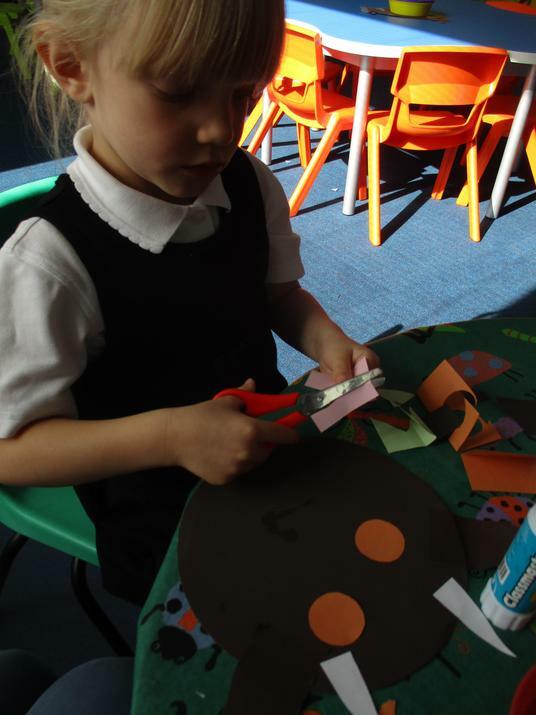 There was not enough room in the hut for everyone so we made a new hut but a hut with a difference. 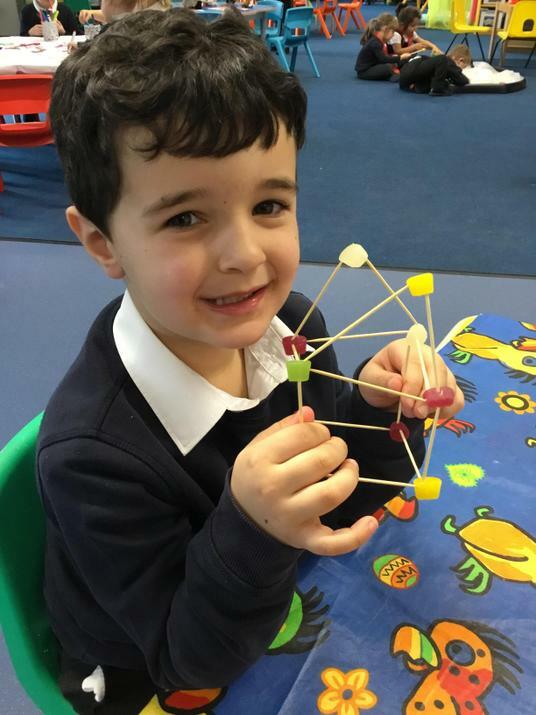 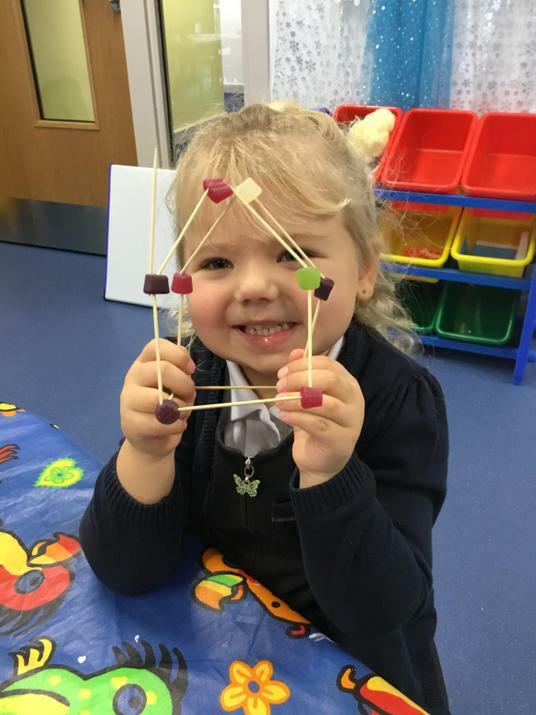 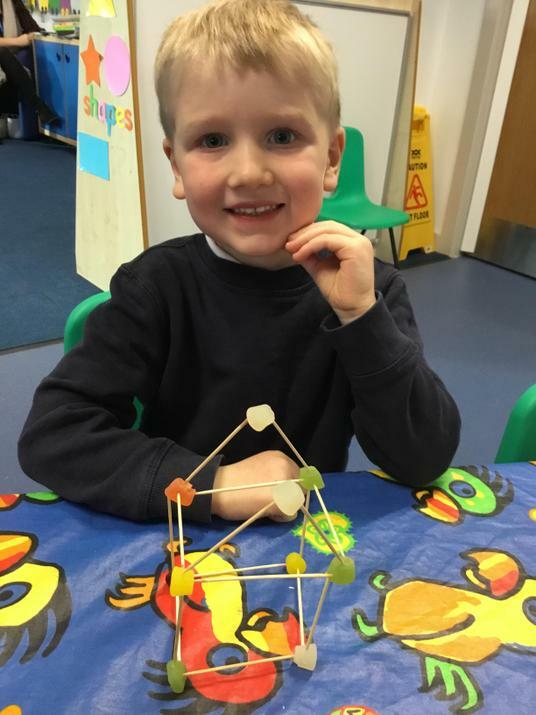 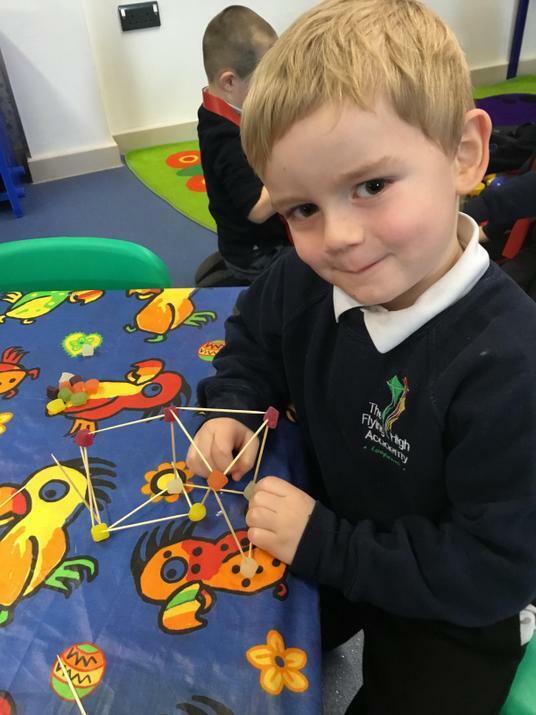 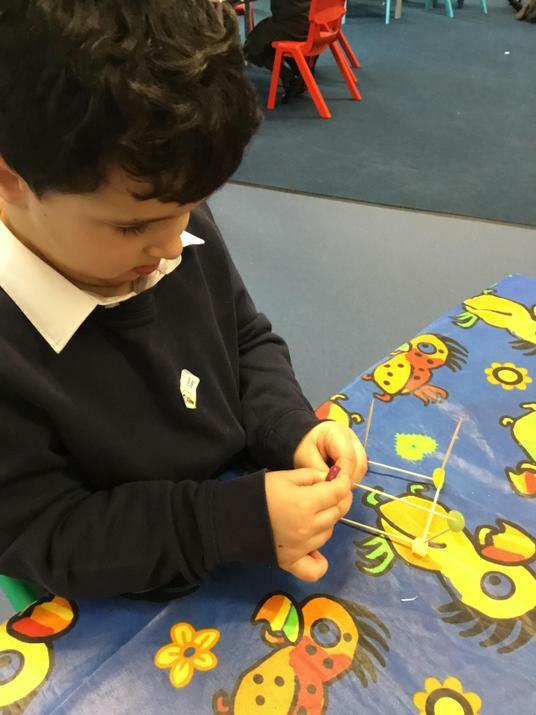 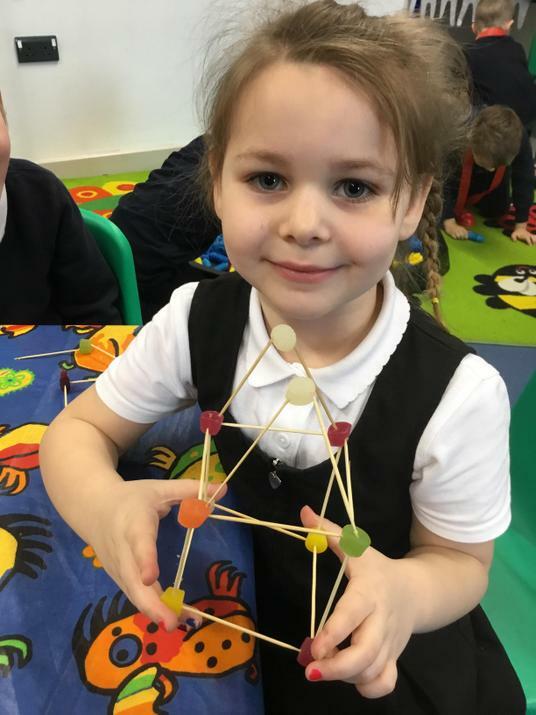 We had a challenge to make a hut structure using 10 midget gems and cocktail sticks. 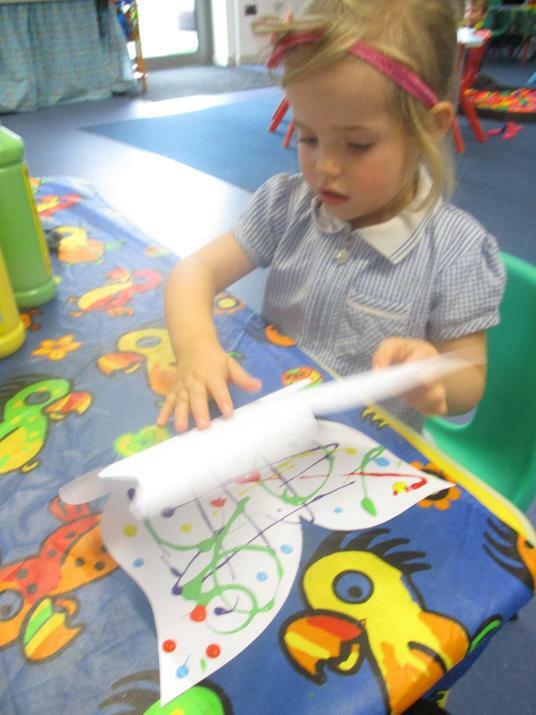 Tricky but great fun, take a look. 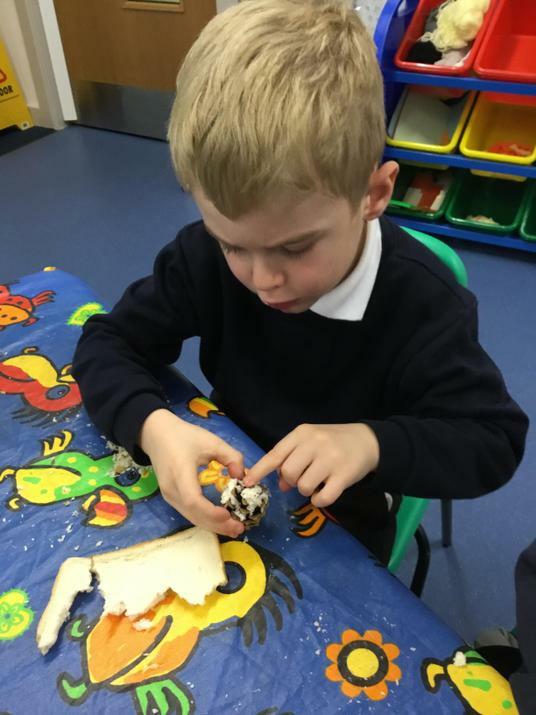 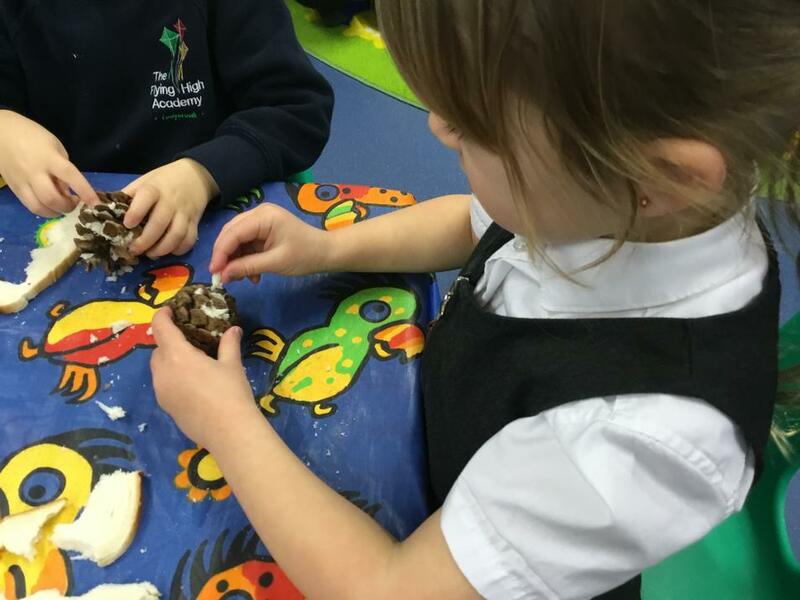 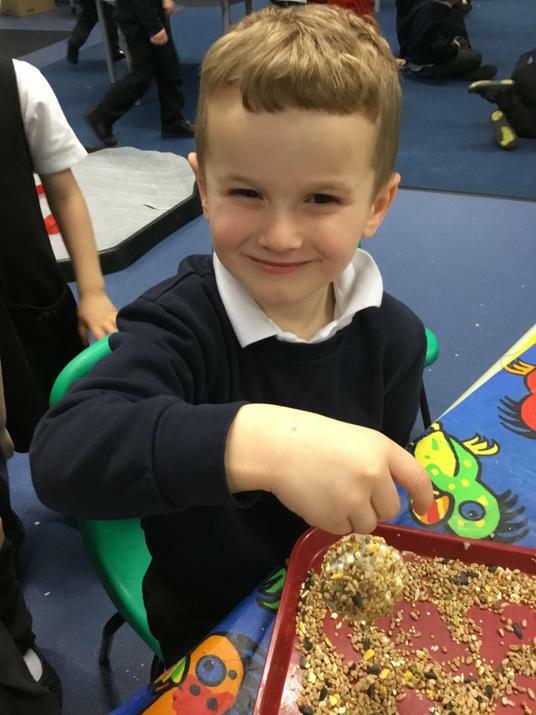 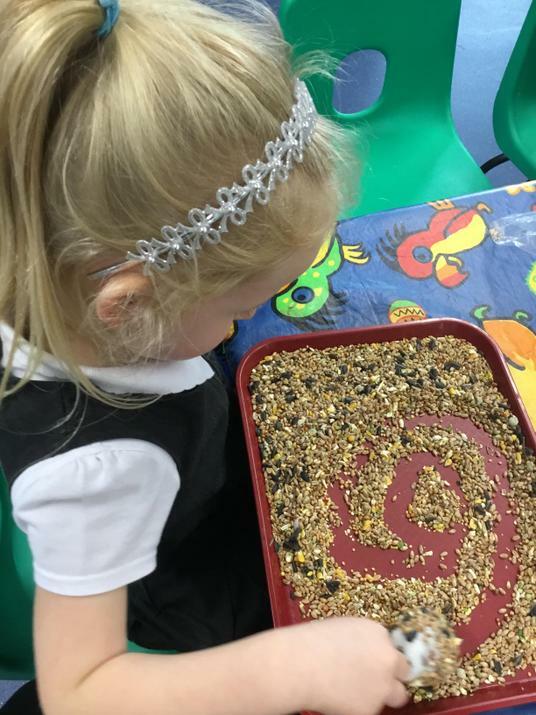 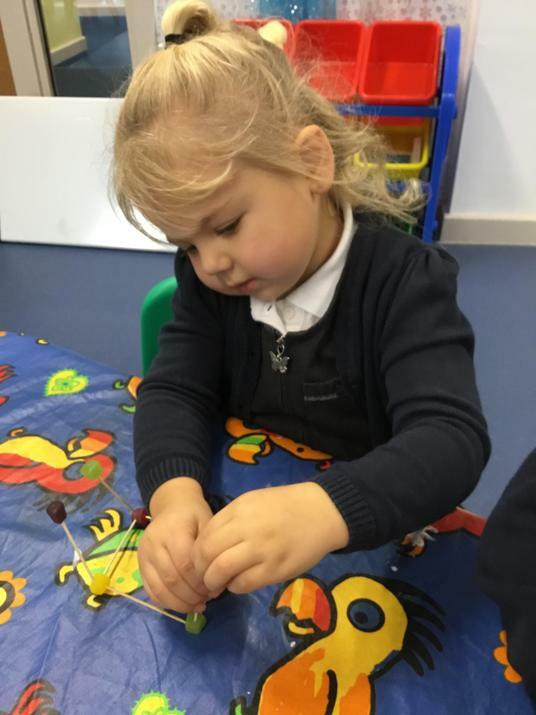 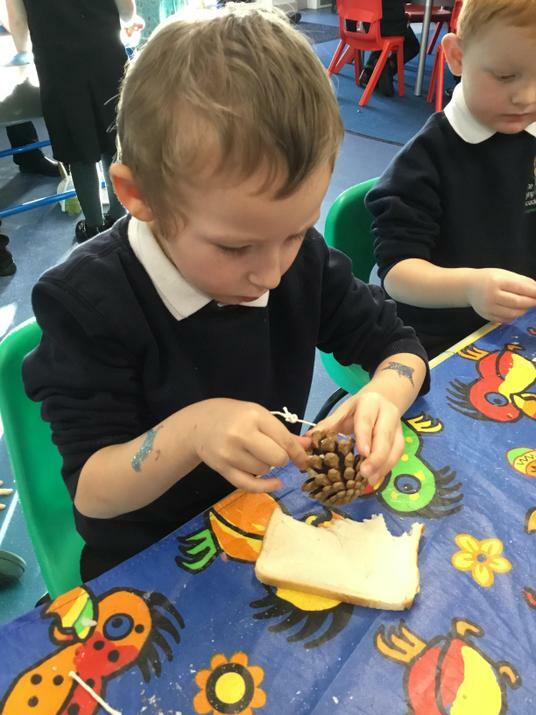 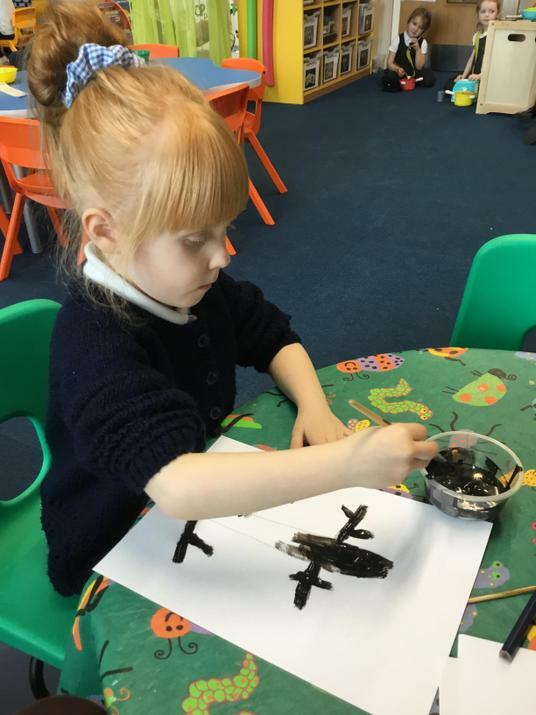 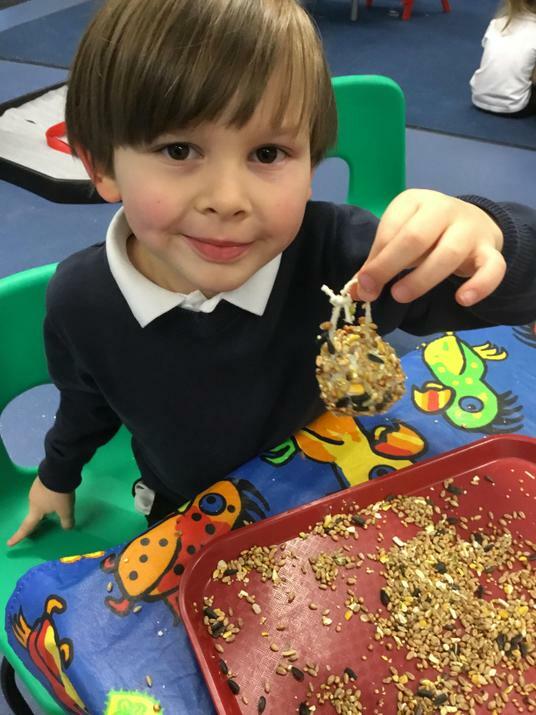 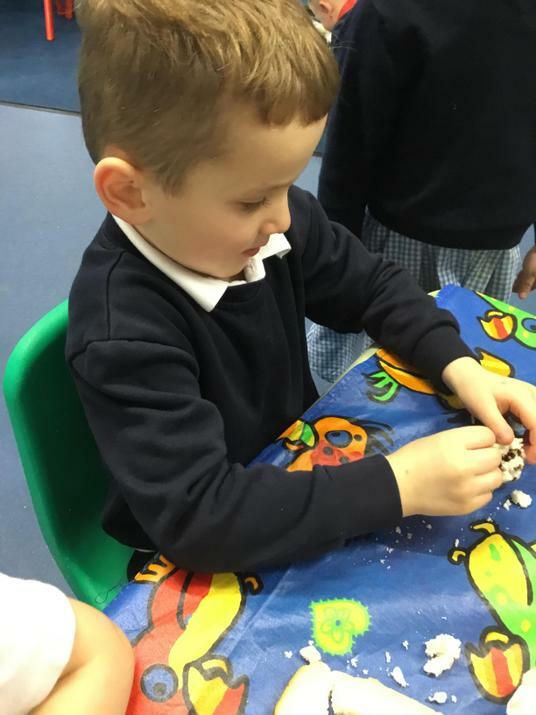 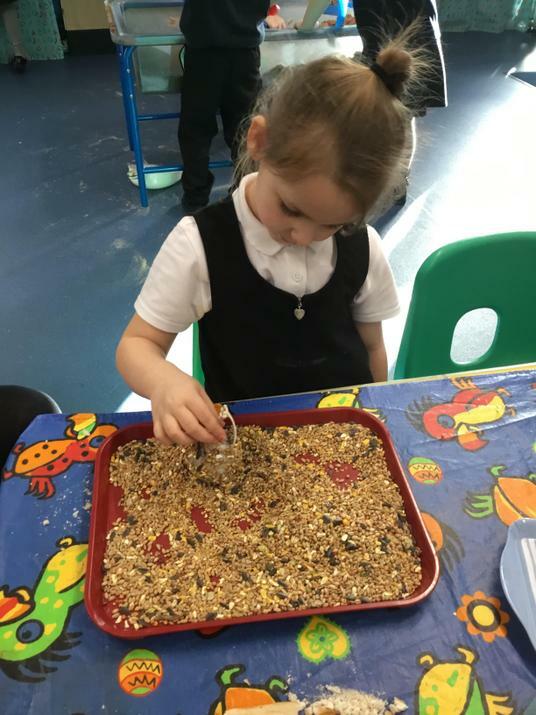 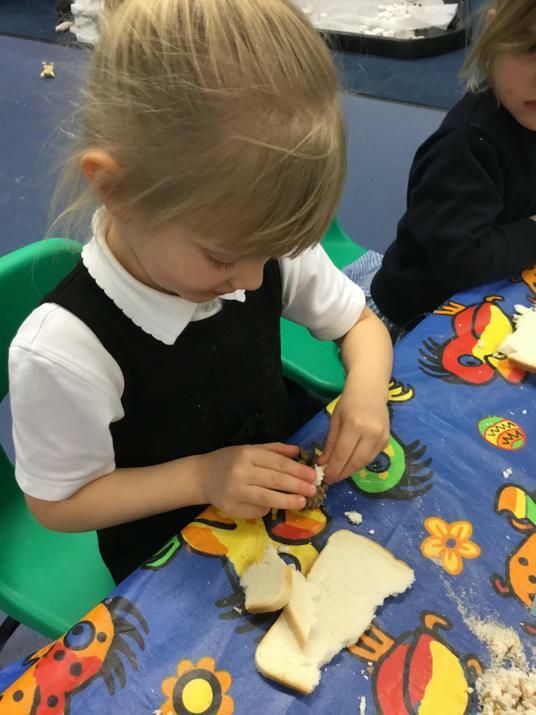 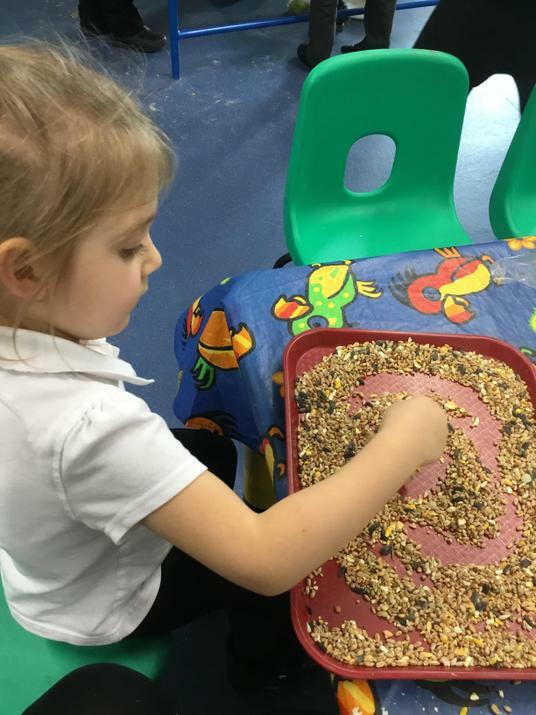 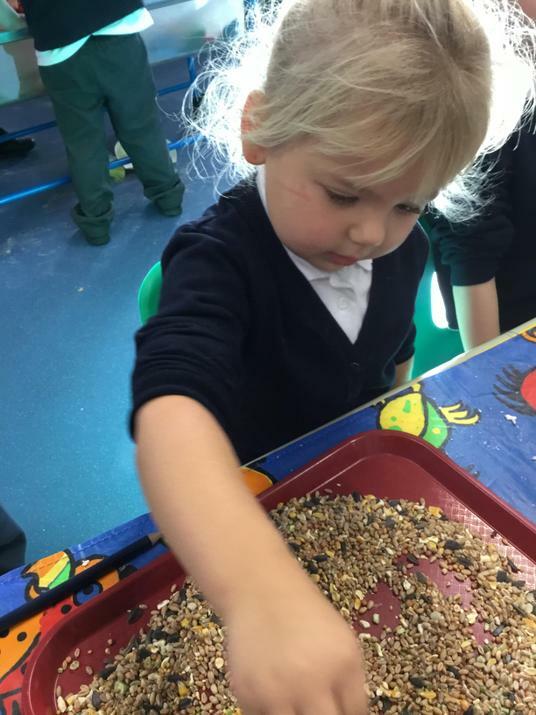 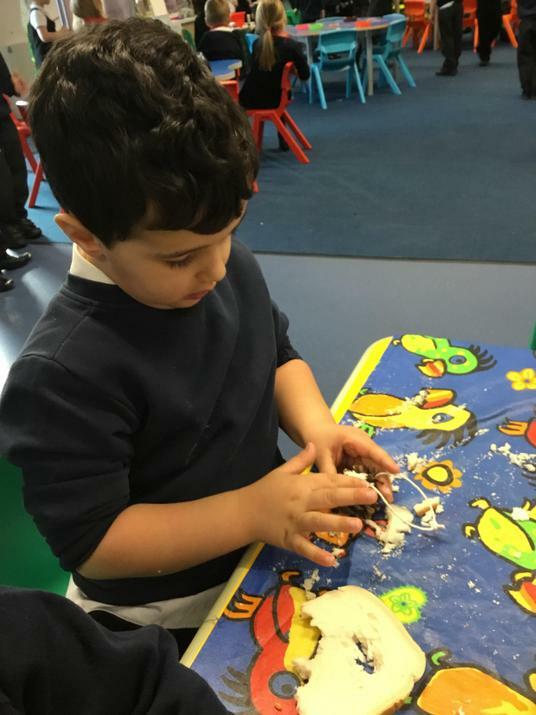 We have been learning how we can help look after the birds in Winter. 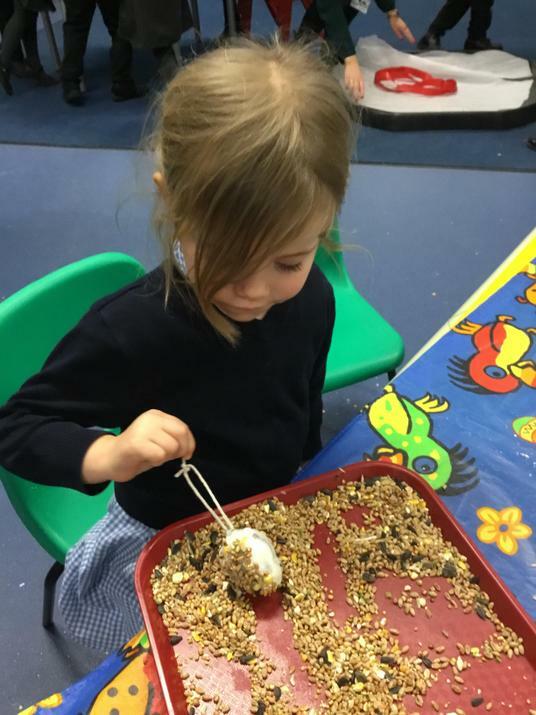 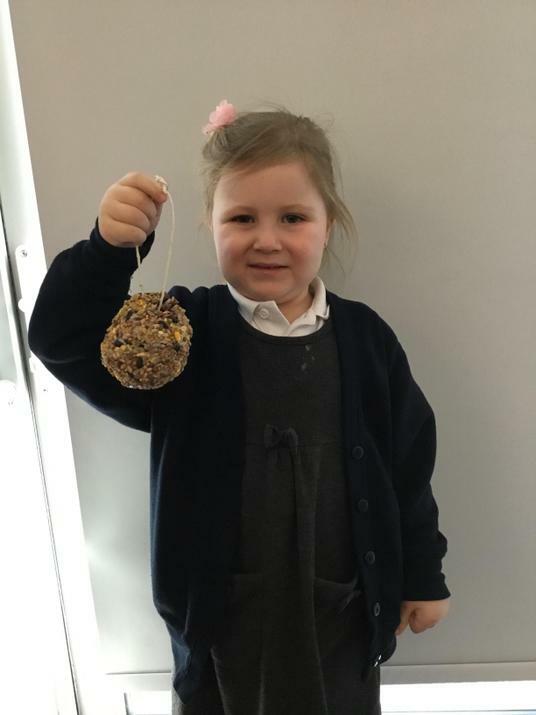 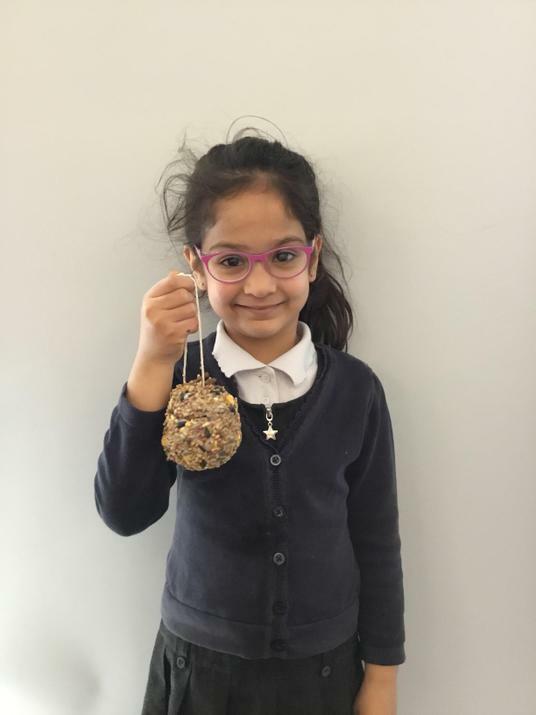 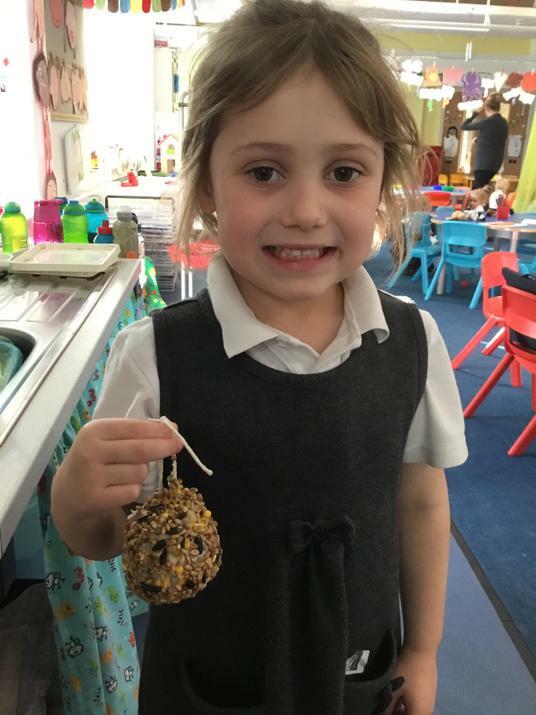 We have made our own bird feeders. 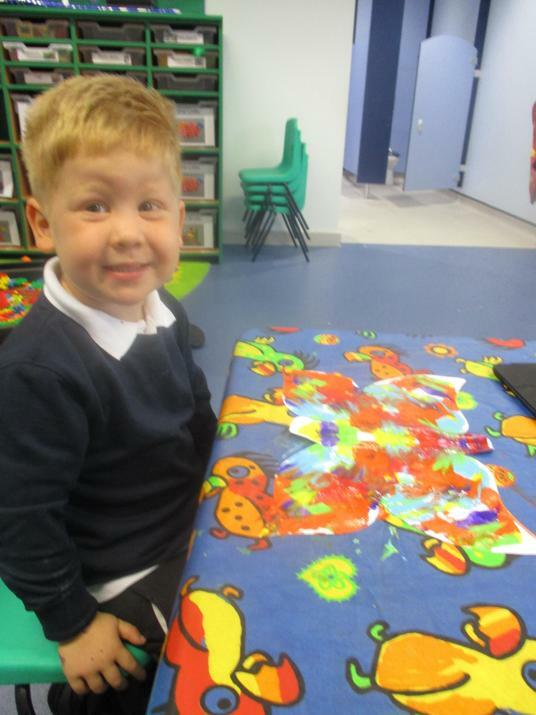 It was sticky but great fun. 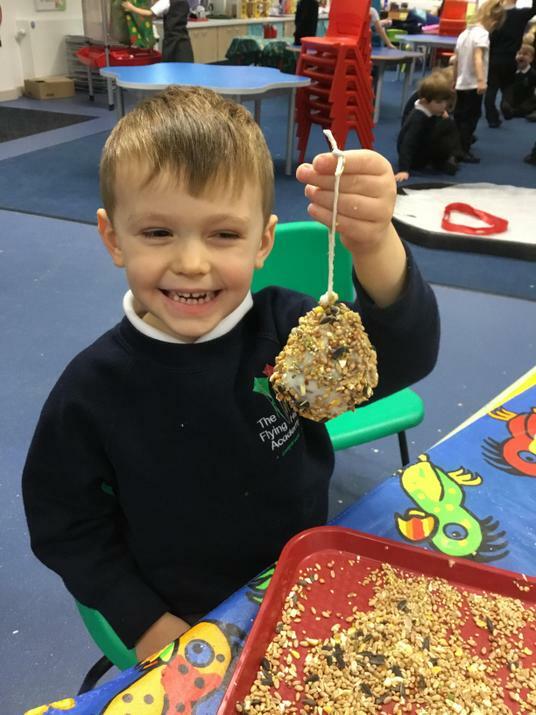 We hope the birds enjoy them. 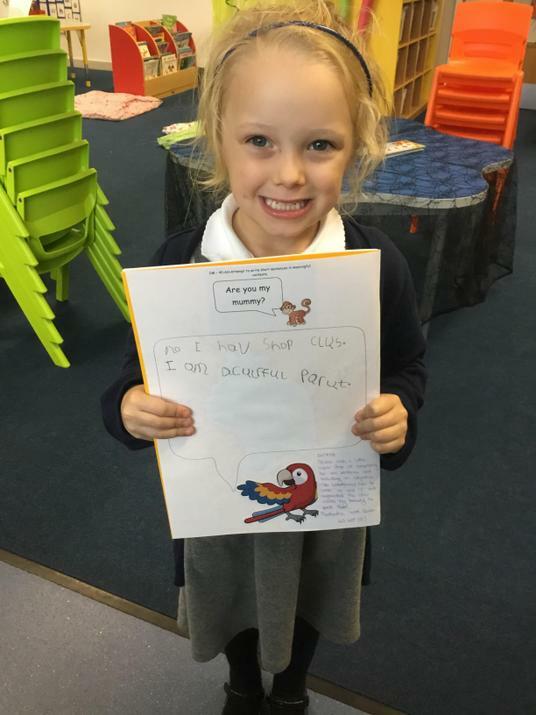 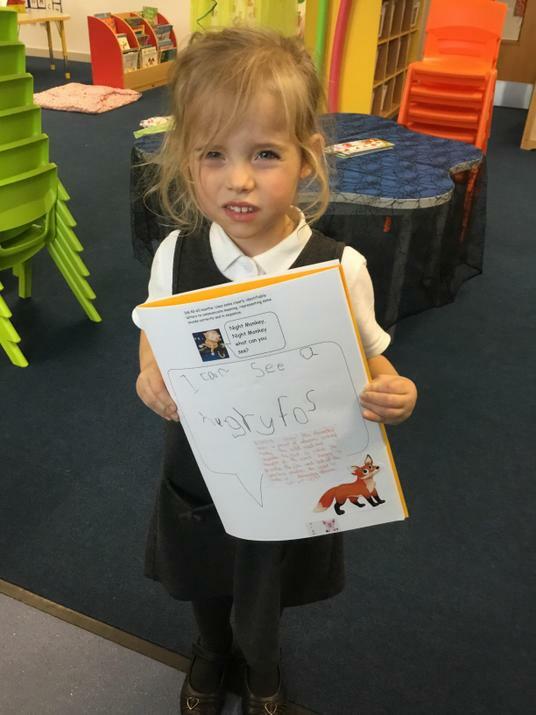 Look at our Amazing Star Writers and their fantastic piece of writing they have been chosen for! 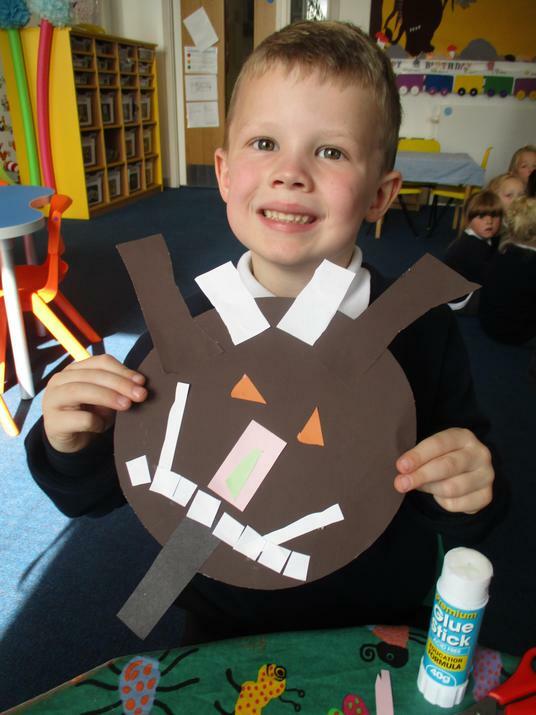 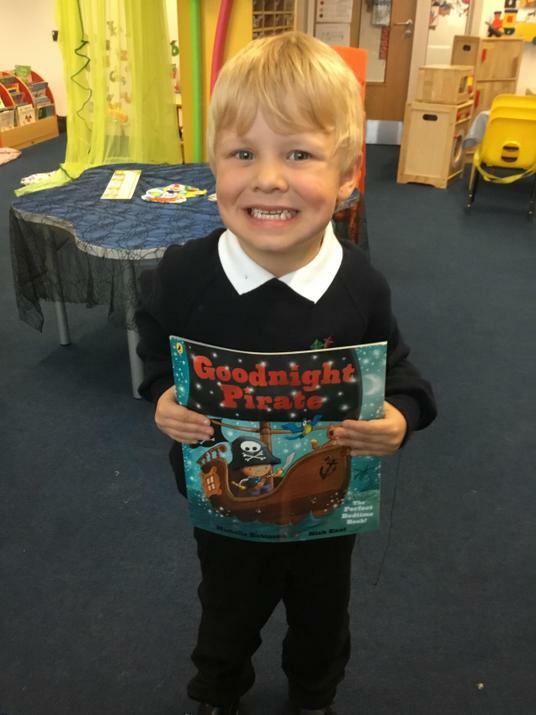 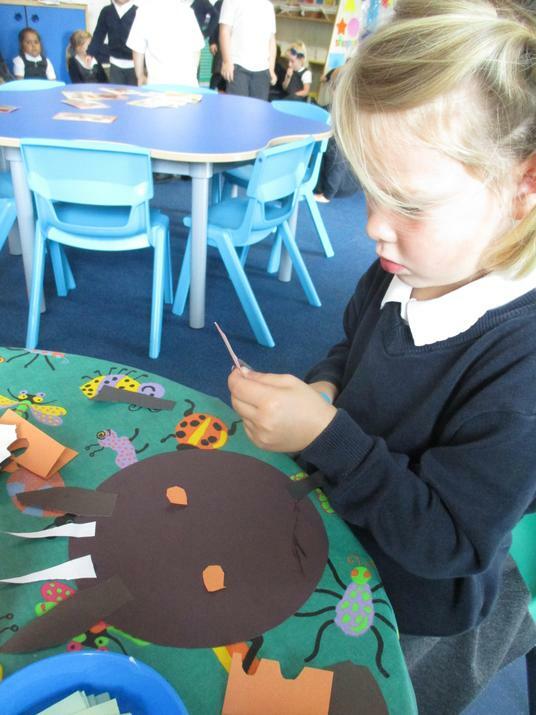 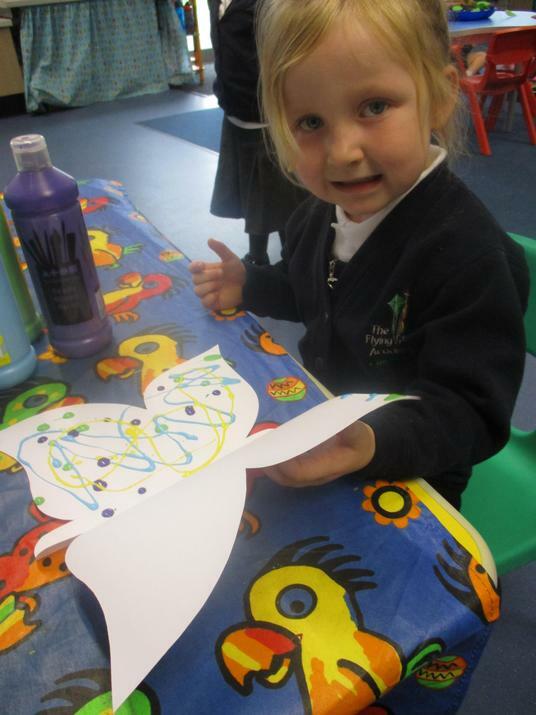 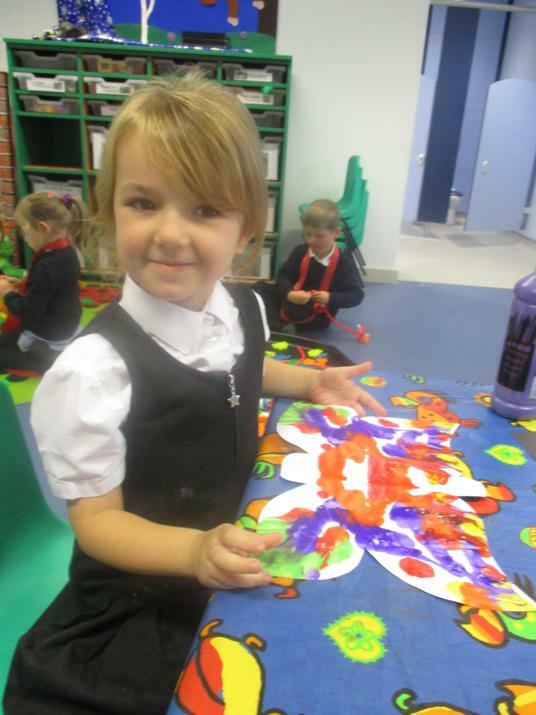 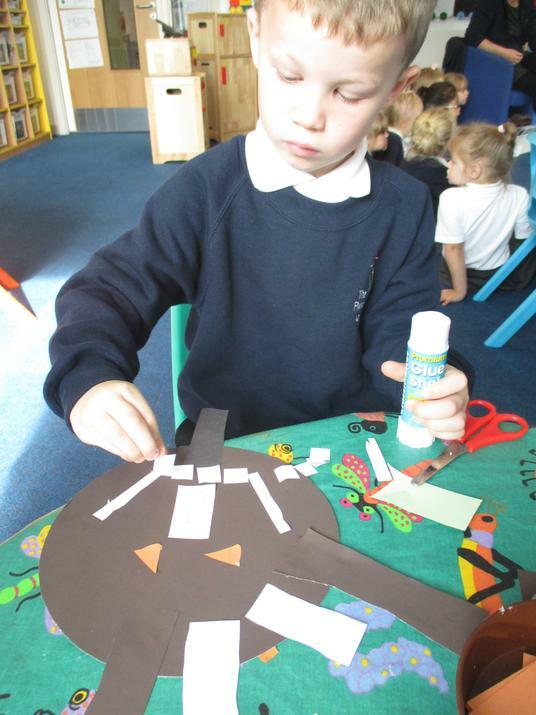 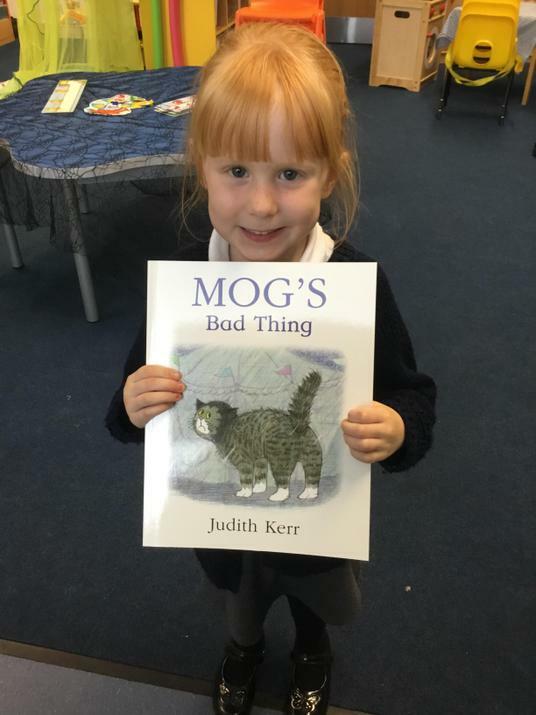 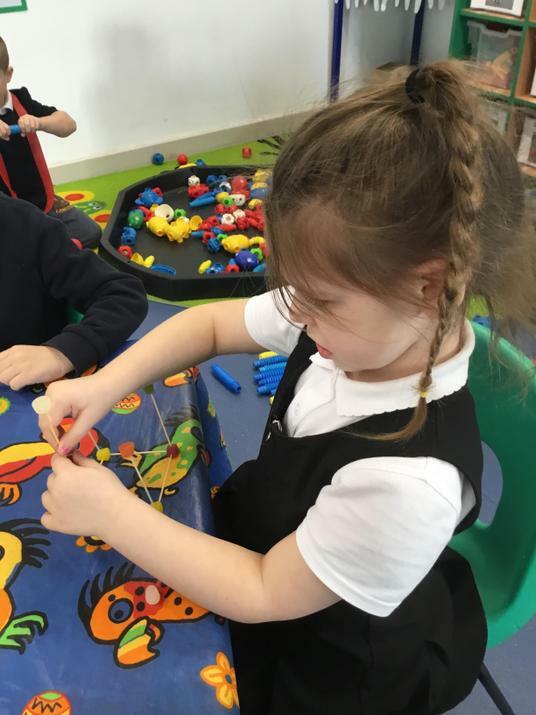 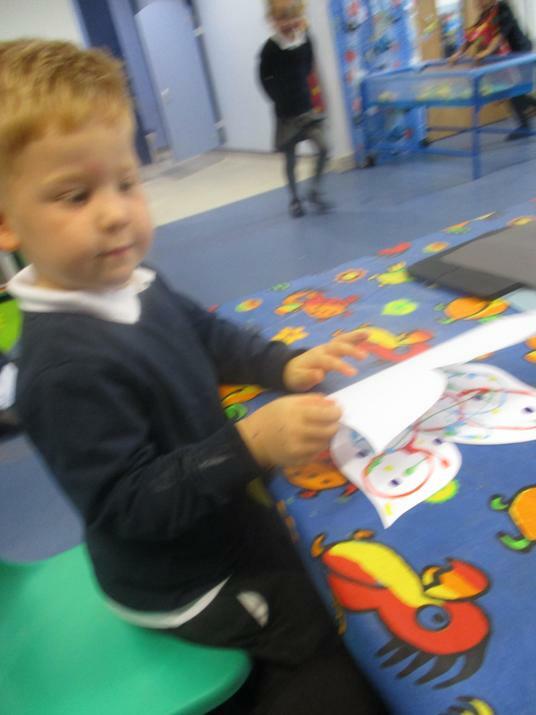 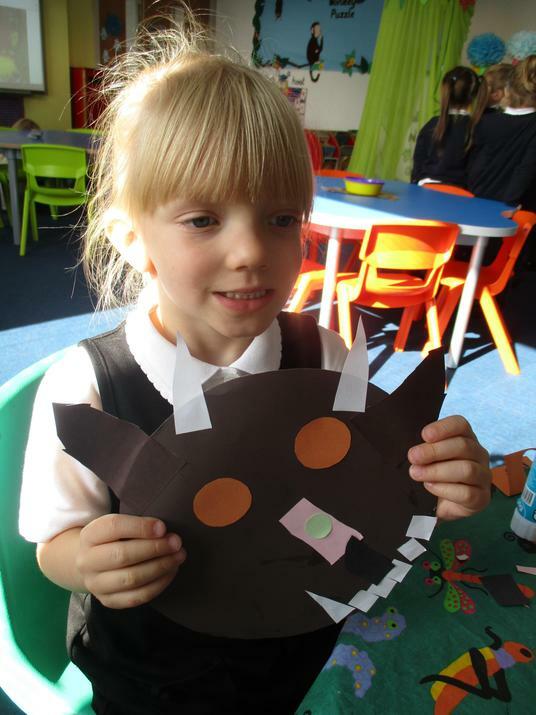 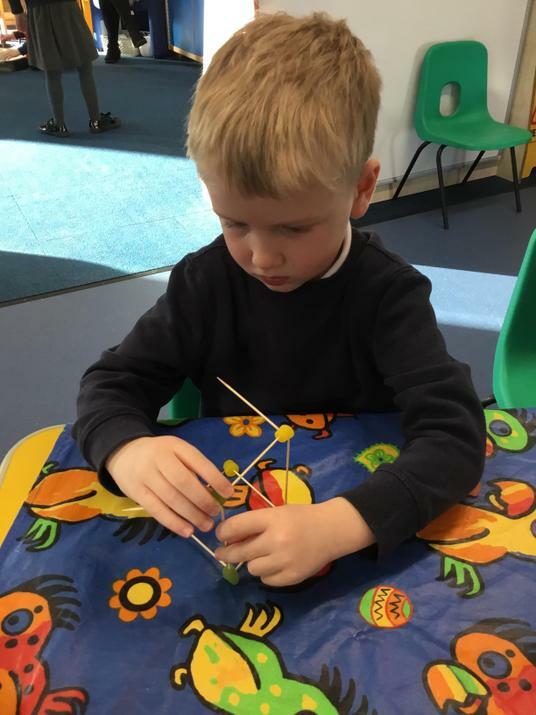 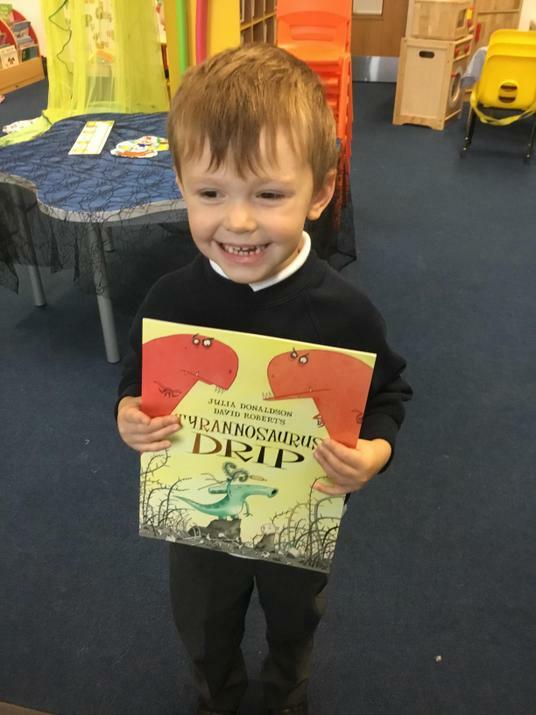 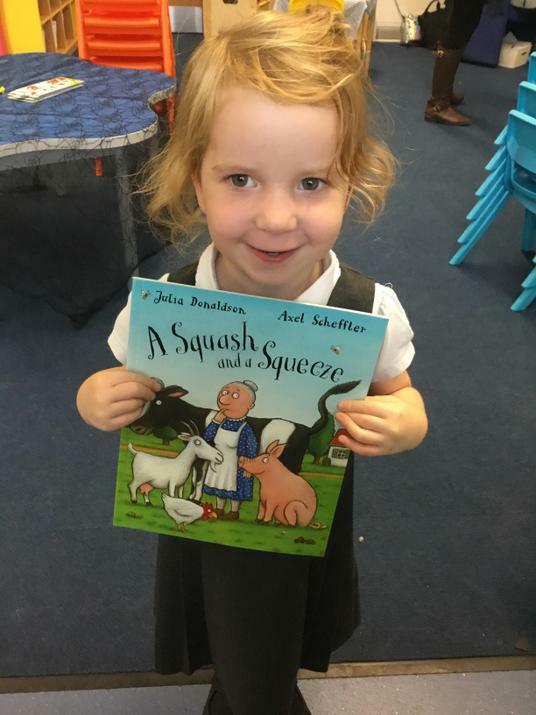 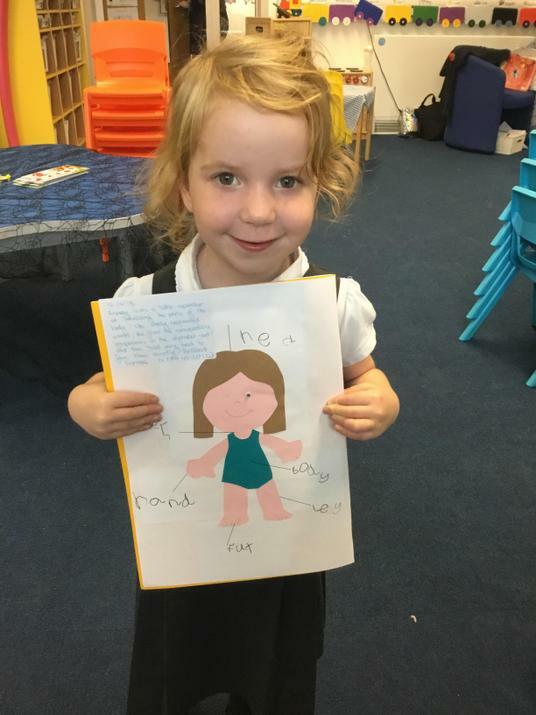 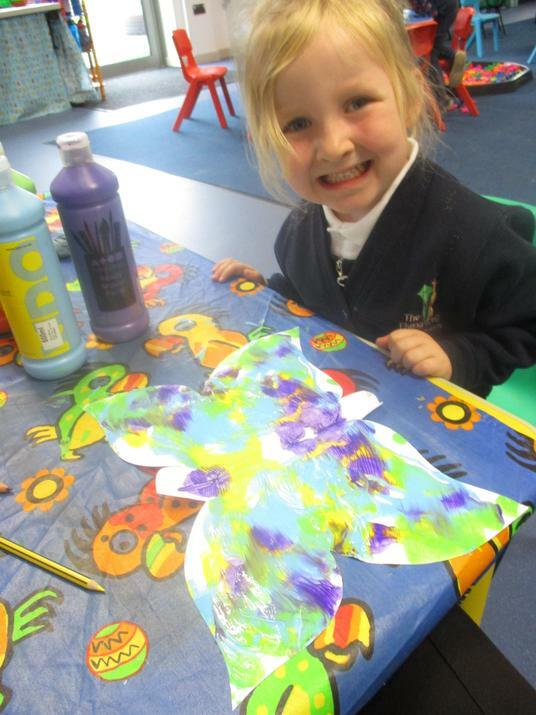 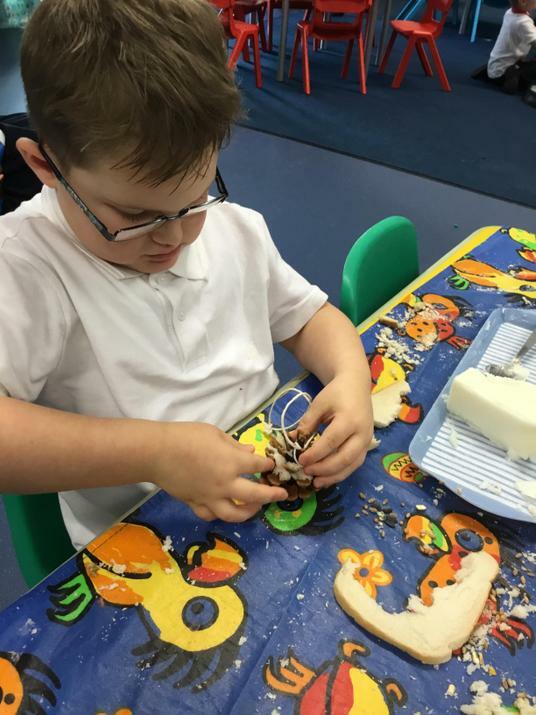 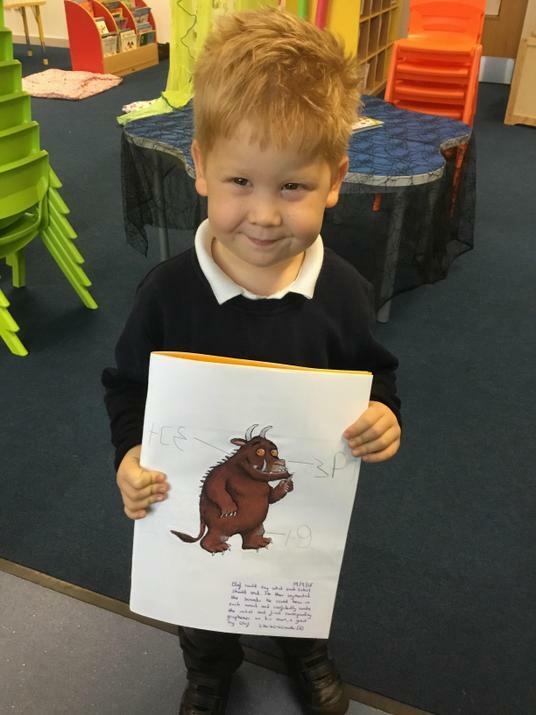 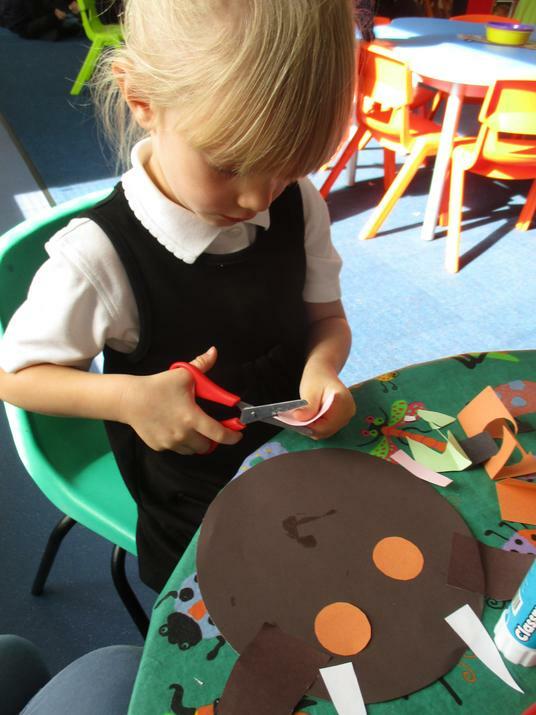 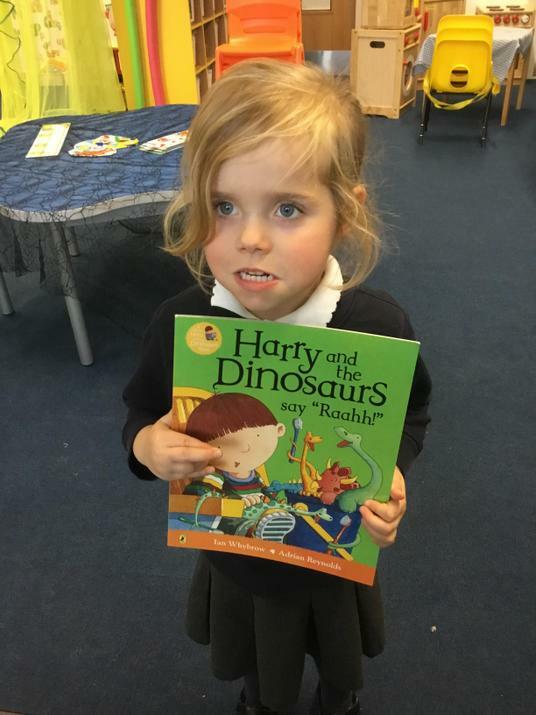 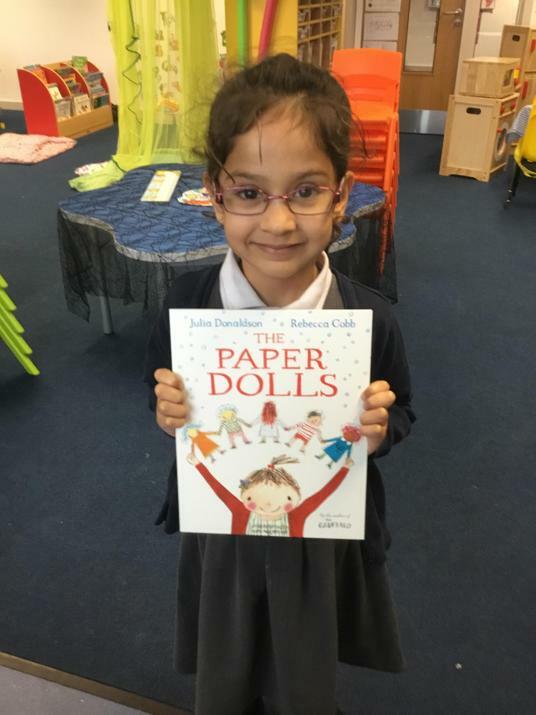 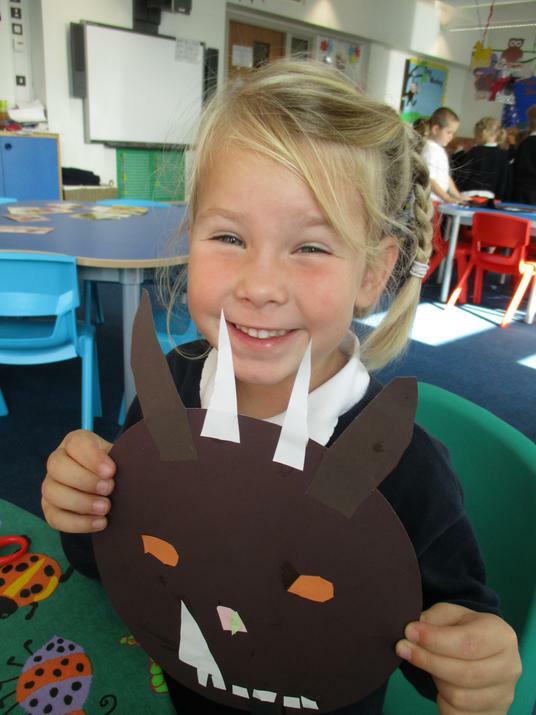 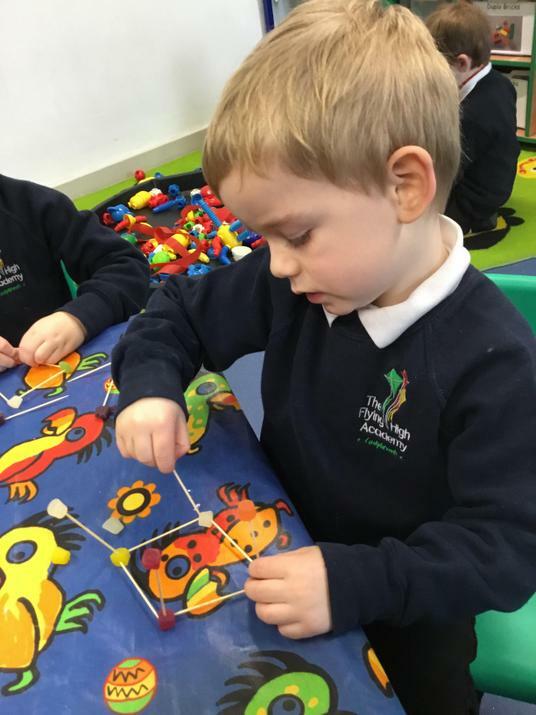 We love cutting and sticking, look at the wonderful things we create! 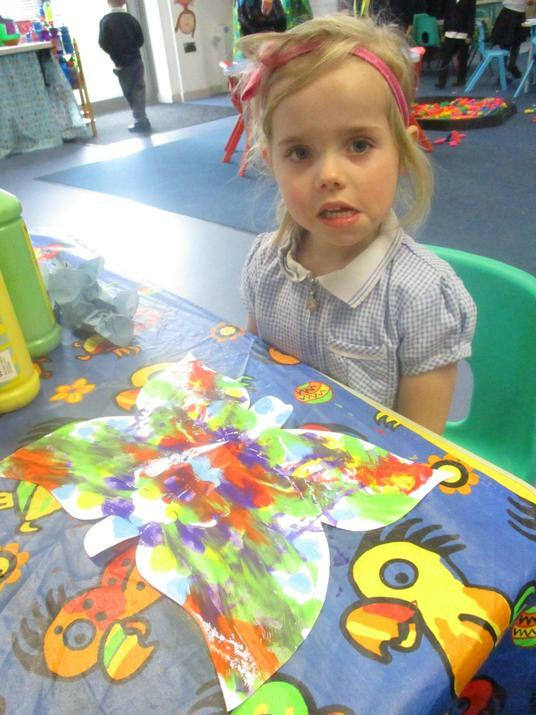 Flutterby, butterfly. 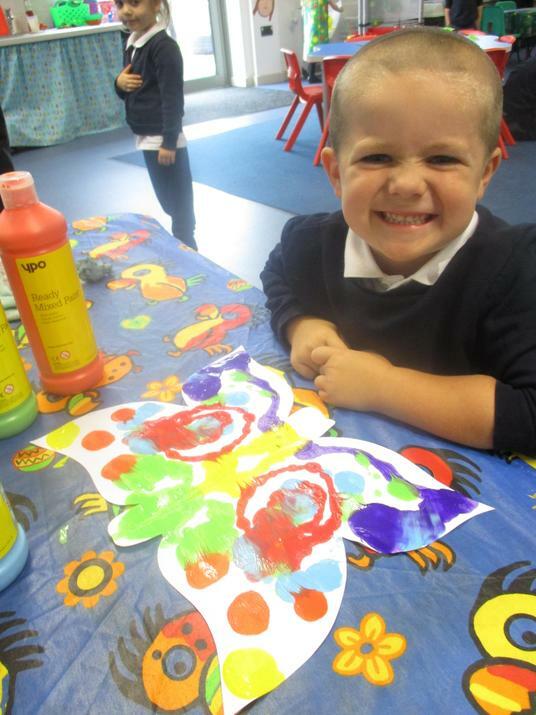 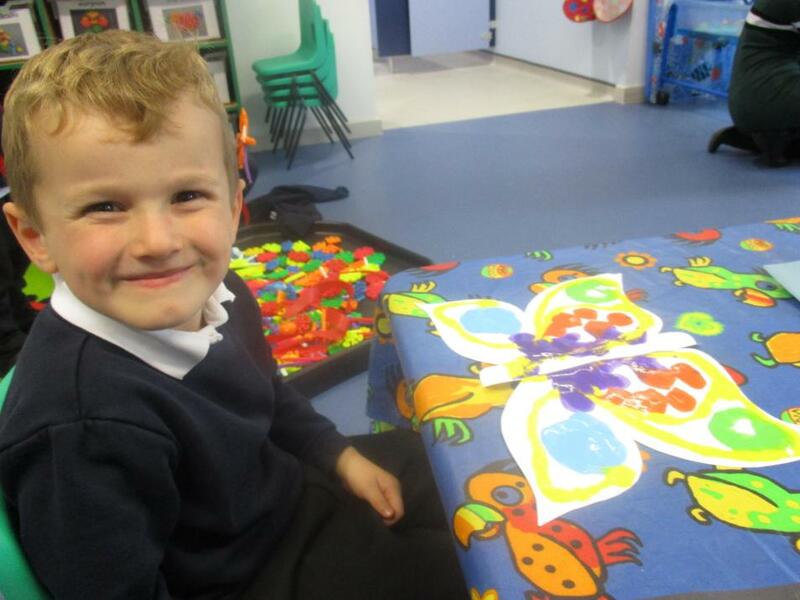 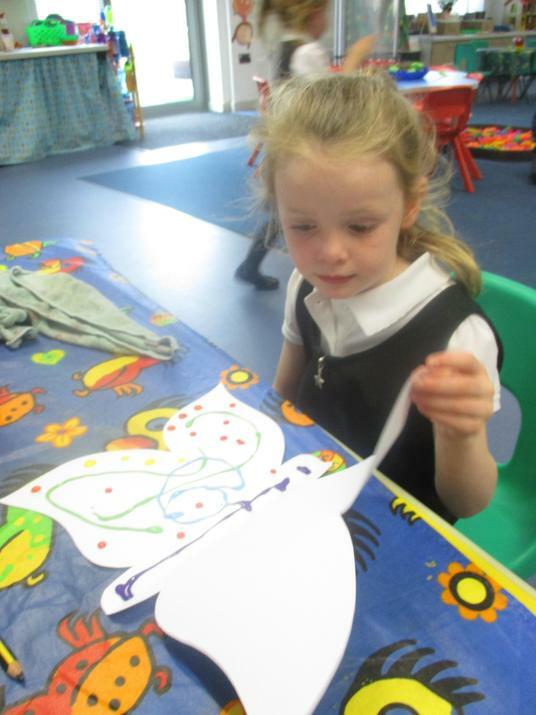 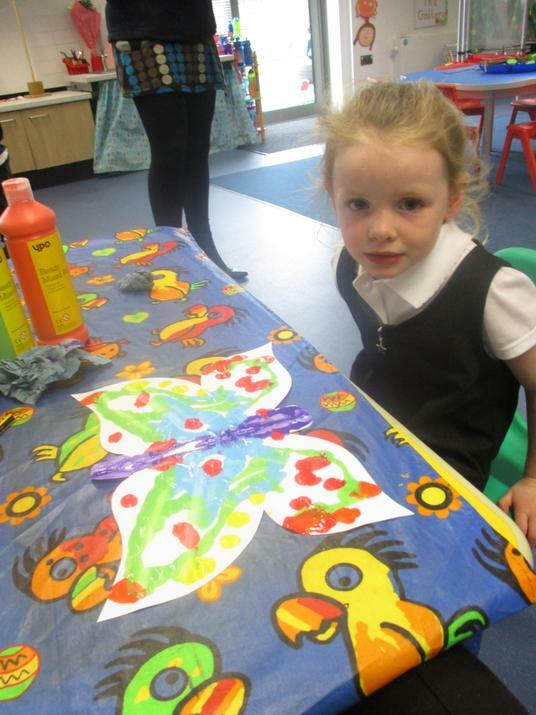 We have been learning about symmetry look at our beautiful butterflies.